I have powderpost beetles in 2 logs I'm turning into end tables... Would this be a good product to kill them? What would you recommend to avoid bringing the powderpost beetles into the house? 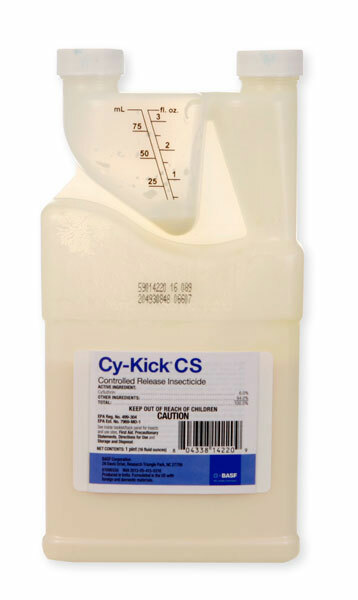 Cykick will only kill exposed stages and will not penetrate wood at all. Bora Care is the only product available to consumers over the counter that will kill Powder Post Beetles inside of wood. If the logs are larger than 4" x 4", then even Bora Care might not work. The best way to avoid bringing them into the house, is to not bring inside any wood that is infested. Use it as firewood, but store it outside. Honestly, Powder Post Beetles are one of the most destructive wood pests next to termites and carpenter ants. They are also the hardest to get rid of. Simply spraying the wood with any chemical won't penetrate into the wood to kill them. Tent fumigating the house is the only way to control them indoors if the infestation is serious enough.